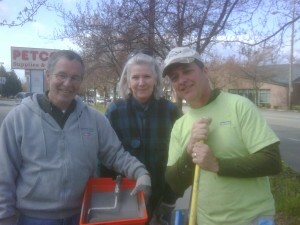 Crown Hill Cleanup, a success! Thanks to all! Crown Hill is a Great Place to Live and Work! Last Saturday, April 30th, both YOUR residential and YOUR business neighbors cleaned up the streets of Crown Hill. 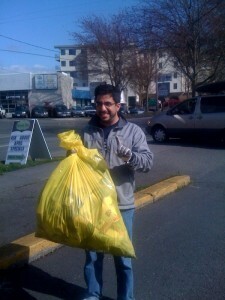 The success was felt as we piled the 30 – 40 bags for city pick-up. That much trash was removed from the streets piece by piece. And numerous graffiti tags were painted over by the wipe out team. “Are there prizes for children?” was a question from a precious little girl who had worked so hard. Great idea for next year! She gets two prizes in 2012! It was hard work with rewarding good feelings at the end. Thanks to everyone! Let’s try to keep Crown Hill clean ALL YEAR! We had about 30 participants this year, including many participants from Crown Hill businesses and residents, and from Labateyah Youth Home. We cleaned the public rights of way along Holman Rd, 15th Ave, 14th Ave, 13th Ave, 85th St, 90th St. And the Crown Hill Business Association’s graffiti rangers painted out the work of numerous vandals. Volunteers are needed! Lets give the main drag through the neighborhood a spring spruce up. Show you care about our neighborhood. 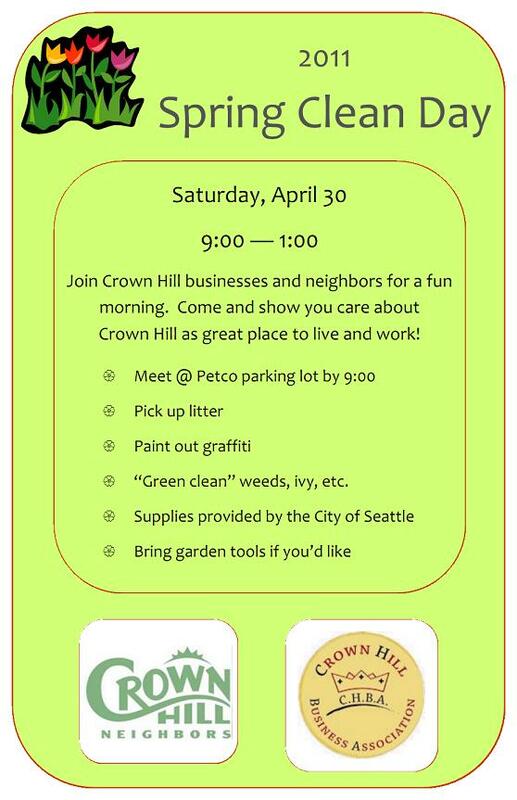 The Crown Hill Business Association and the Crown Hill Neighborhood Association are teaming up to do a general cleanup along 15th Ave NW and Holman Road. Meet at the Petco parking lot at 9 AM. 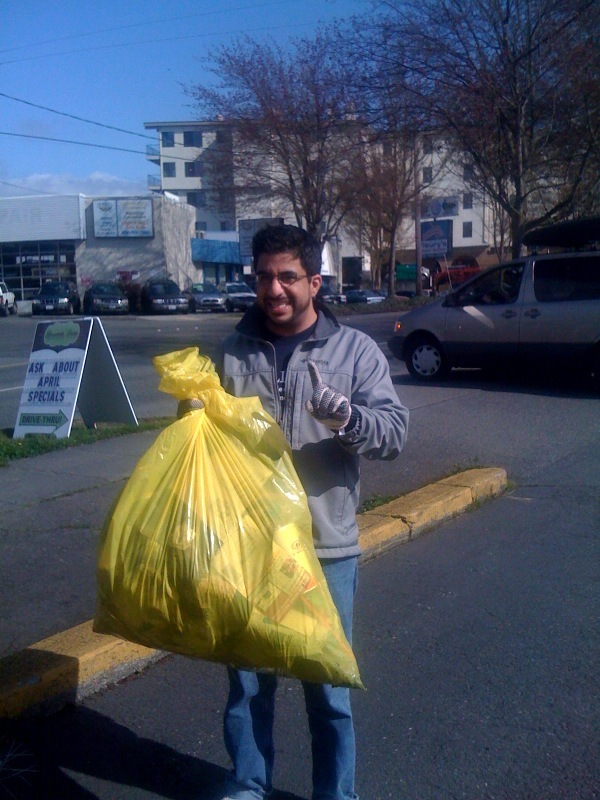 Be prepared to pick up litter, paint out graffiti, tidy up vegetation working alongside your neighborhood businesses and neighbors.